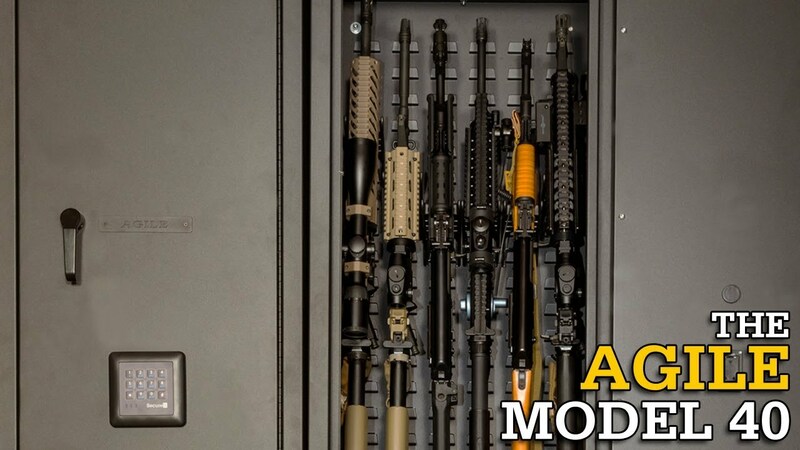 The SecureIt Agile Model 40 Gun Cabinet is designed to stack on top of an Agile Model 52. The keypad is positioned near the cabinet base so it is convenient to reach when stacked. Like the Model 52, the Model 40 is a premium, heavy-duty firearm storage system that features SecureIt’s patent-pending KnockDown™ Technology. It can be assembled in minutes. 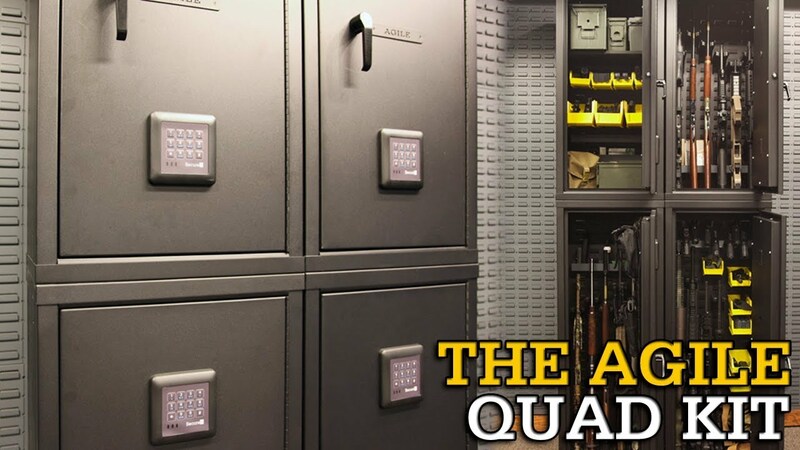 Agile Gun Cabinets have pre-drilled holes so you can easily bolt them together. Height: 40" | Width: 20" | Depth: 15"
I purchased this the week it came out to mount on top of the 52 cabinet. It works well. I use it to store my ammunition in it. I’m very pleased with it and my 52 cabinet. My only question is, Is it possible to offer in the future a shelf option as opposed to just the 6 gun mounts for those wanting shelf space for ammunition or storage? Thank you for your support and taking the time to comment on our site. looking to ammo and gold and silver. Is the shelves? I apologize, I’m not sure what you’re question is. Please email support@secureittactical.com for assistance. Thank you! Do you sell to the federal government? Do you have a DUNS number? Are you registered in SAMS? Hello, is there something like an adjustable shelf for the agile model ? I would like to store lots of ammo in one, but with no shelf it’s impossible to organise it well. thx for your answer. Could this be used Stand alone? Yes, the Agile™ Model 40 can be used by itself. Keep in mind, though, that the keypad is positioned towards the bottom of the door. The Answer™ or the TRUE™ would provide that height. The Answer™ has an interior of 59″h and the TRUE™ has an interior of 58″h.